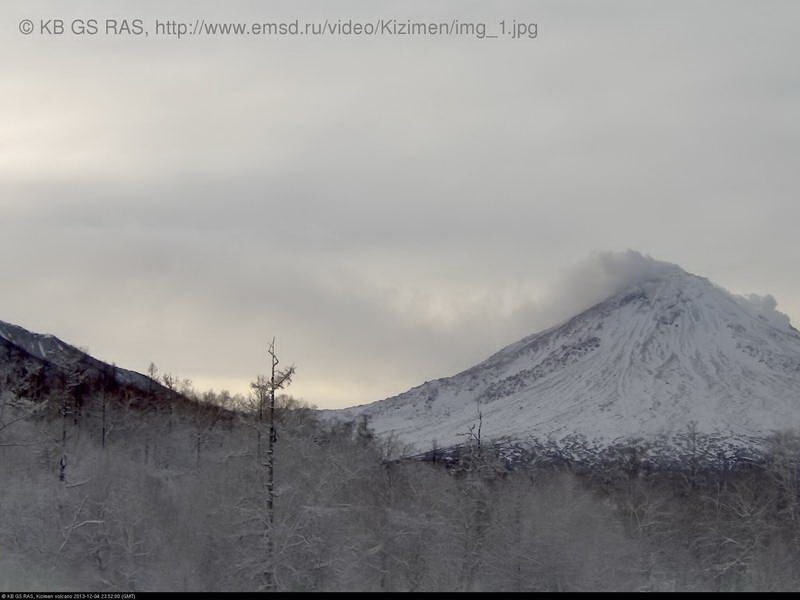 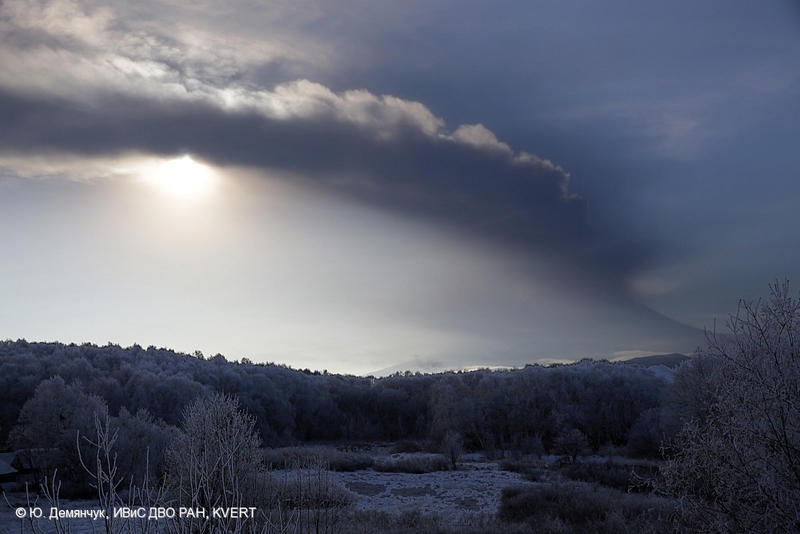 View Zhupanovsky volcano from the south - from behind Kozelsky volcano. 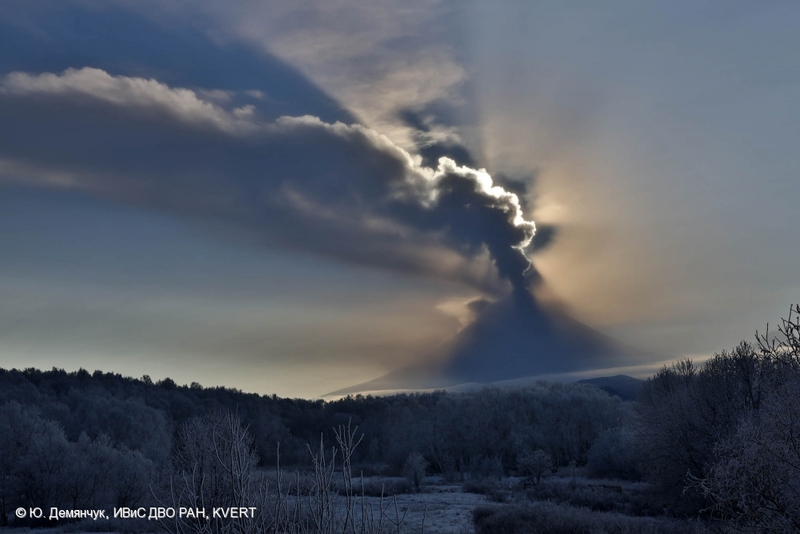 The volcano obscured by gas-steam clouds. 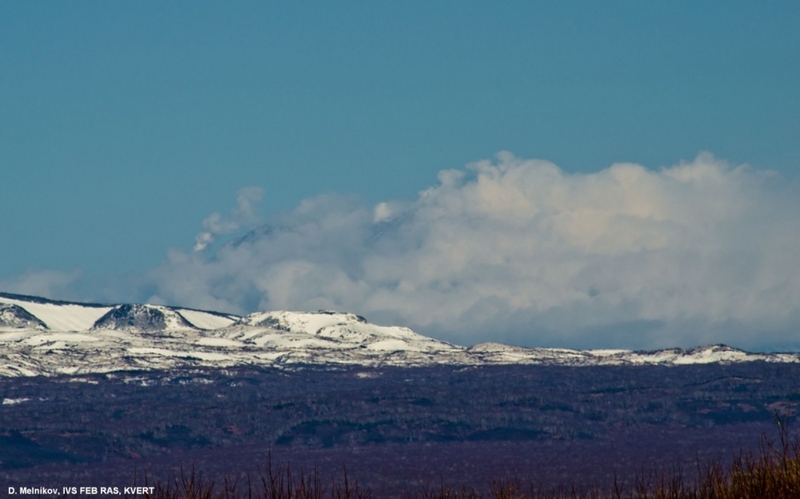 View of Zhupanovsky from the south. 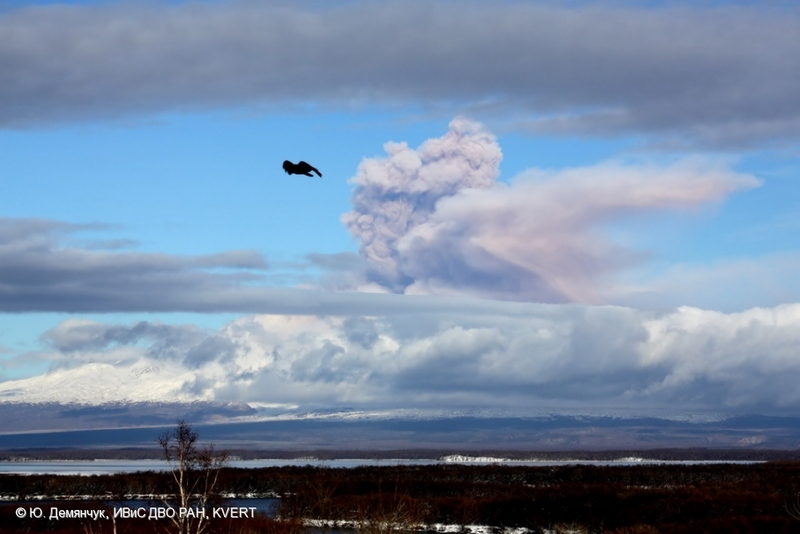 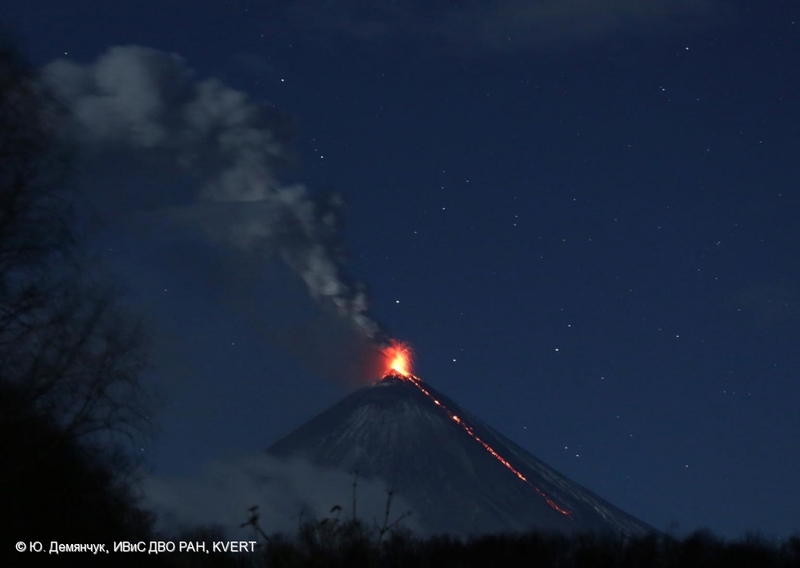 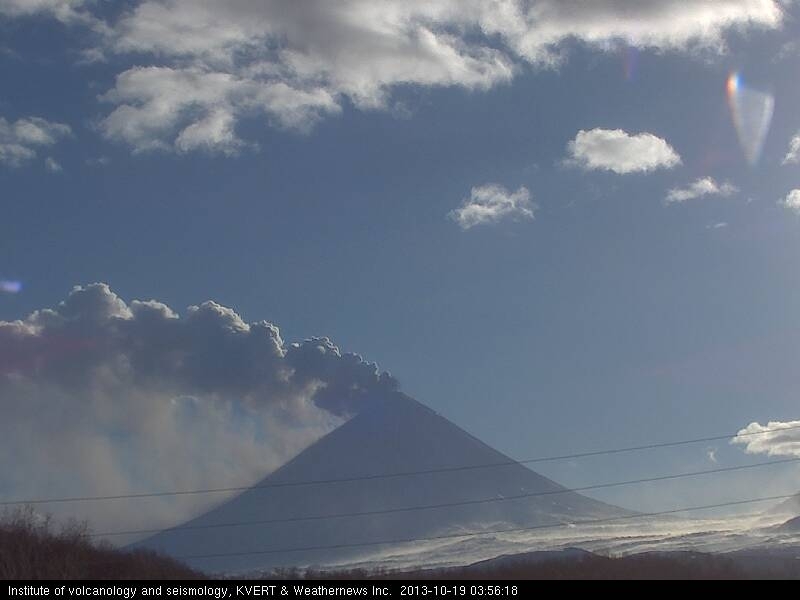 Phreatic eruption of the volcano occurr. 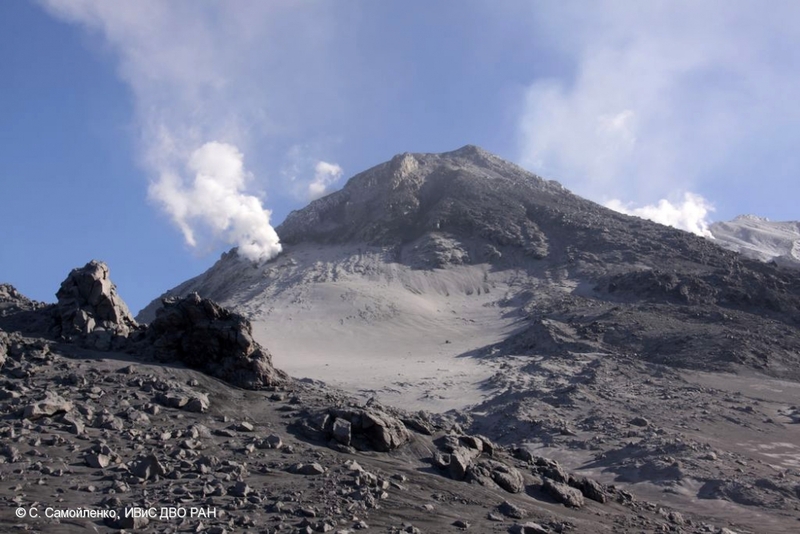 Gas-steam plumes containing small amount of ash raise from fumaroles on the western volcanic flank and a central part of the volcano. 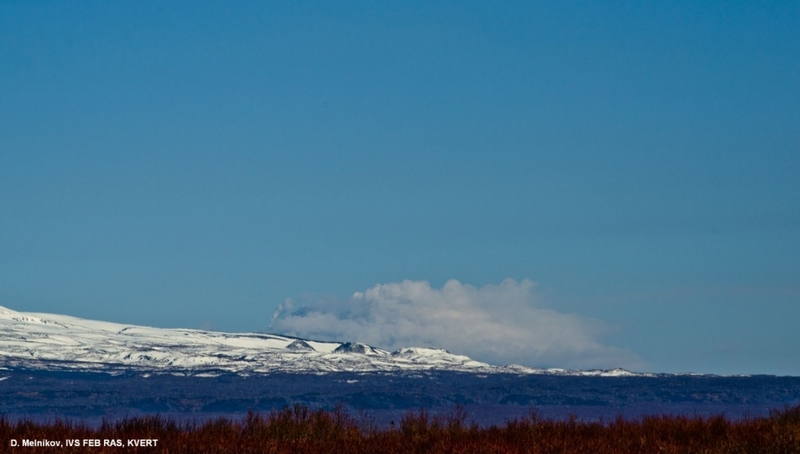 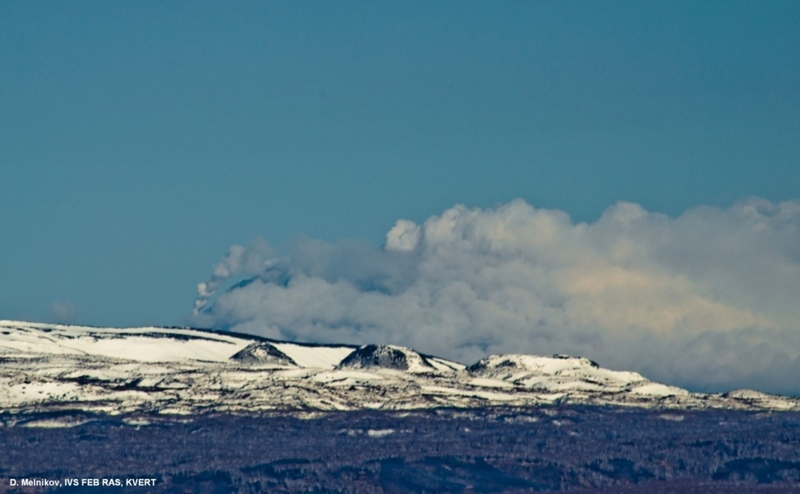 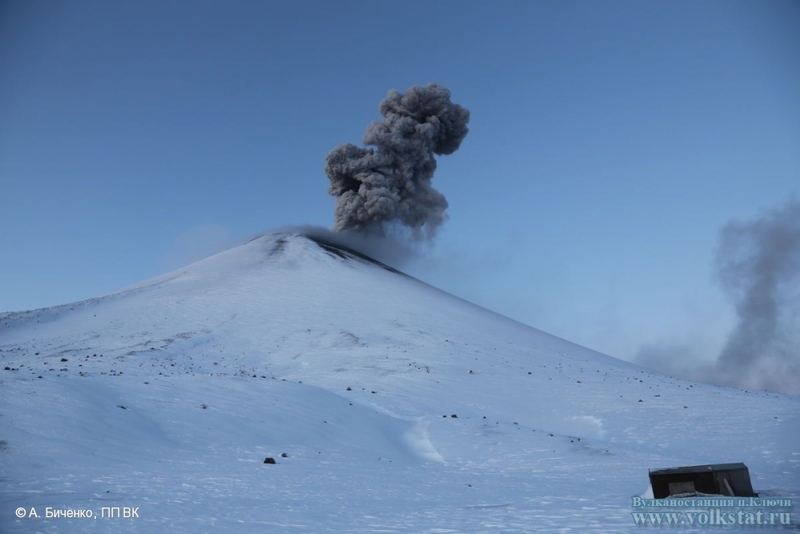 Fumarole activity of Klyuchevskoy volcano on October 24, 2013. 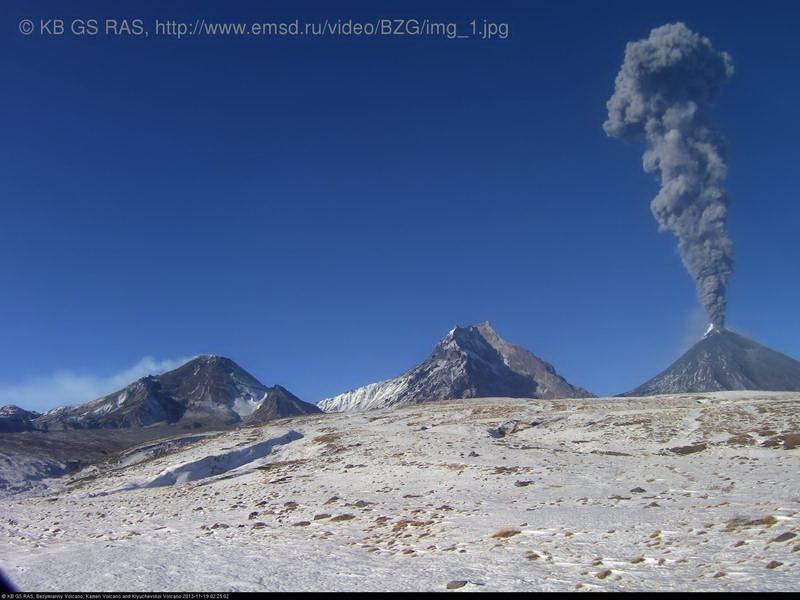 Videodata by IVS FEB RAS and CC FEB RAS. 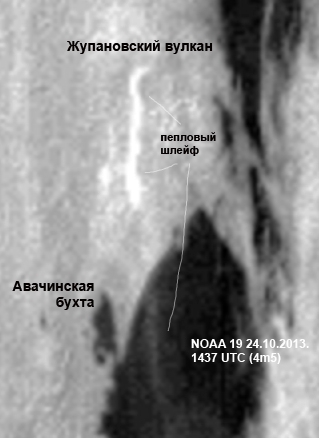 Ash plume on satellite image NOAA 19, 1437 UTC, 24.10.2013. 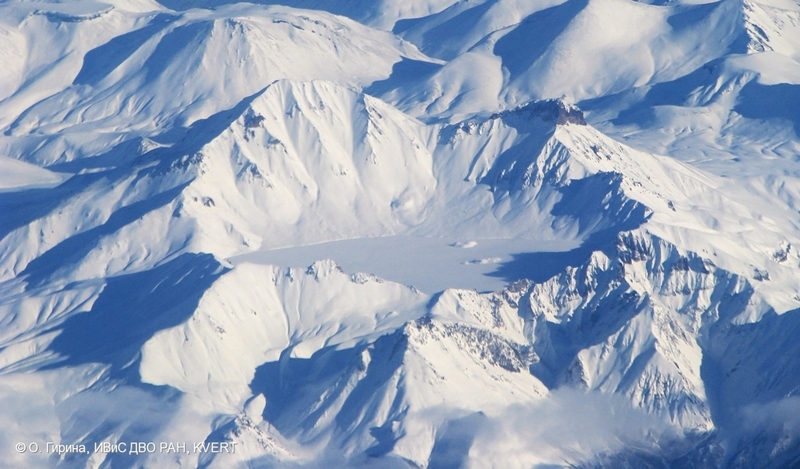 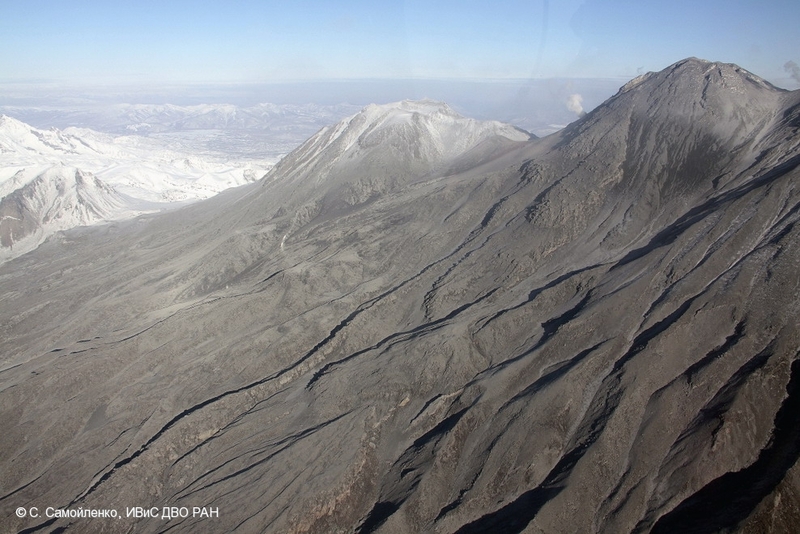 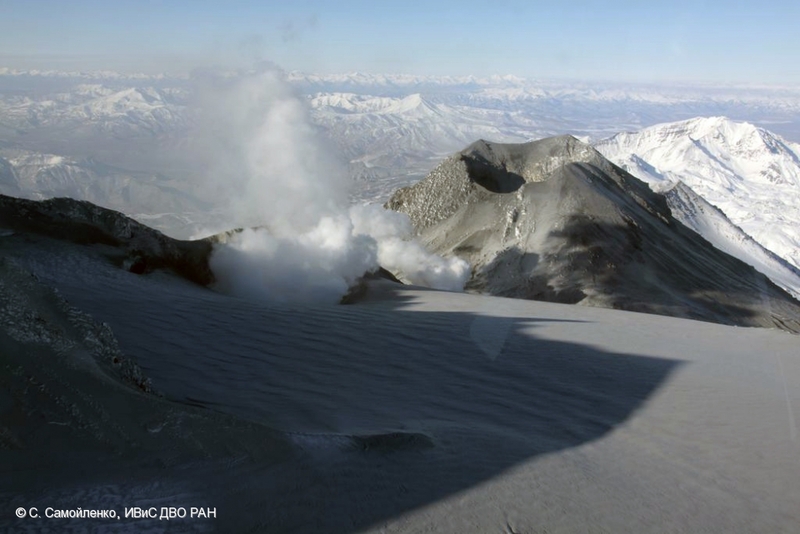 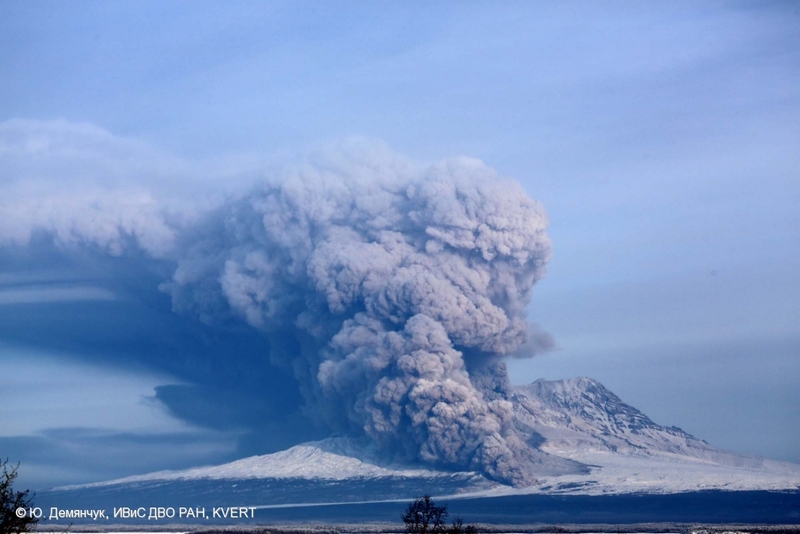 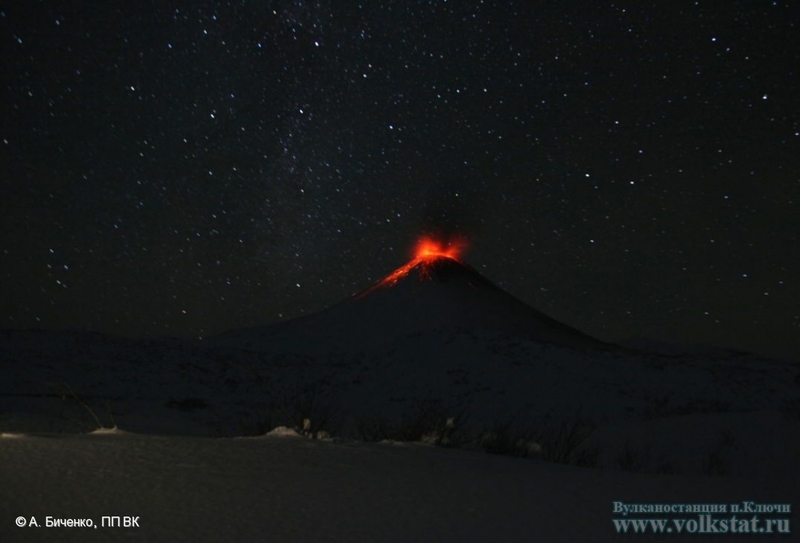 Strong explosive activity of Klyuchevskoy volcano on October 20, 2013. 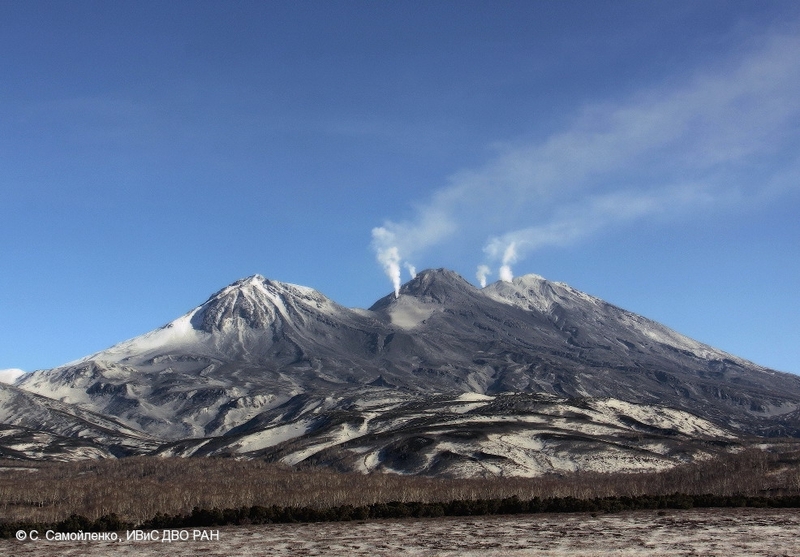 There are Strombolian and Vulcanian activity of the volcano, and lava flows on the north-western, south-eastern and south-western volcanic flank. 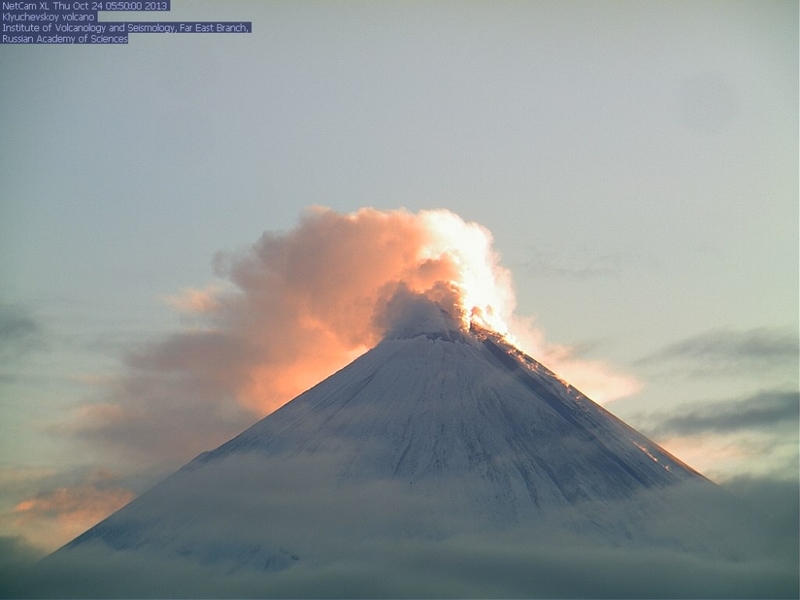 Explosive activity of Klyuchevskoy volcano at 03:56 UTC on October 19, 2013. 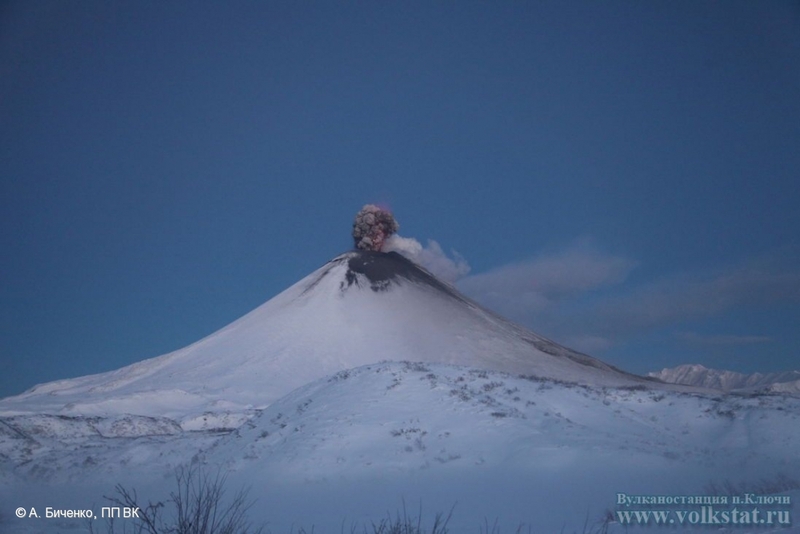 Explosive activity of Klyuchevskoy volcano on October 19, 2013. 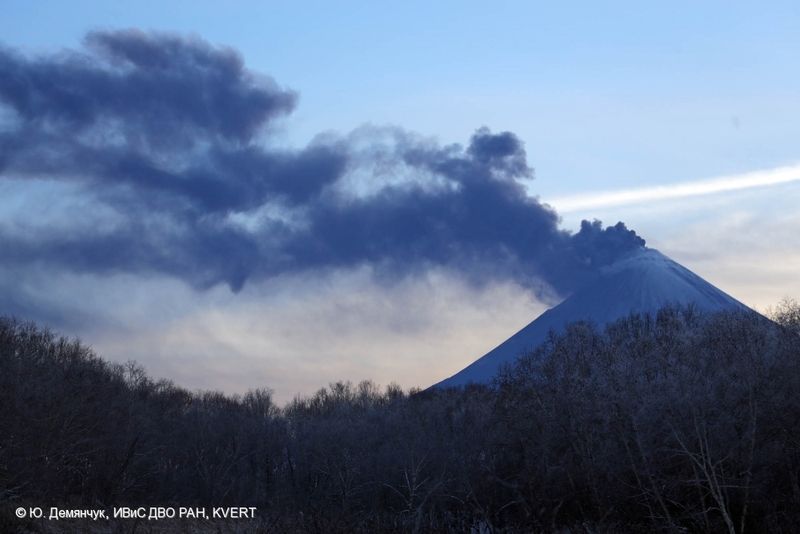 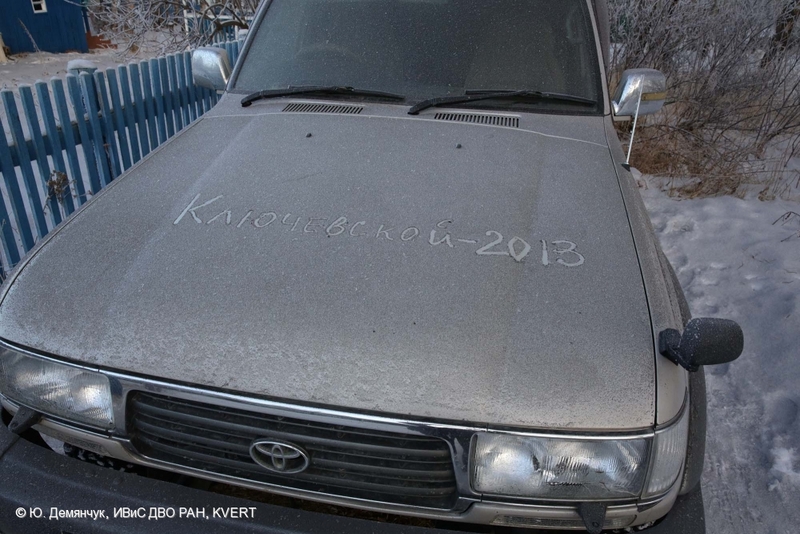 First of series of 3 ash explosions that rose ash up to 10 km a.s.l. 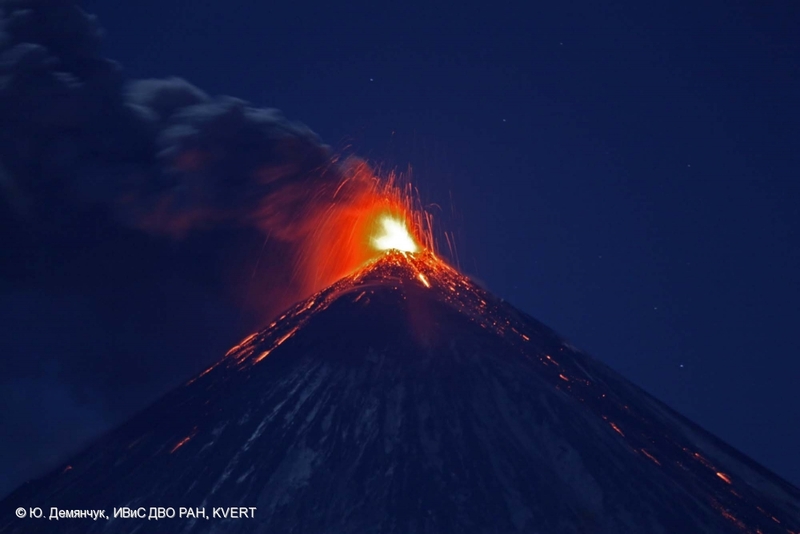 on October 18.